WSOPE Event #10: €111,111 High Roller for One Drop No-Limit Hold'em has been won by German pro Dominik Nitsche for €3,487,463 after he topped a stacked field with a total of 132 entries. Once again a high-roller has been dominated by the German players who took five of the top ten places in this €111,111 buy-in event, with four of them making the top six. The day started with 10 players still in contention, meaning that one had to fall before the unofficial final table got underway. 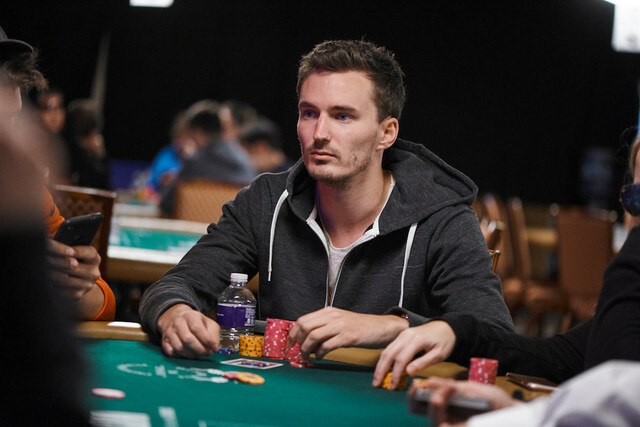 Before the first elimination occurred, however, a huge hand took place between chip leader Christoph "Tight-Man1" Vogelsang and Austria's Thomas Muehloecker. A rather confident Muehloecker 4-bet shoved holding just and was called by Vogelsang's . It looked all over for the Austrian when the flop came down but running clubs enabled Muehloecker to win the 47m chip pot with the lowest possible flush. Vogelsang was never to reclaim the lead. The unlucky 10th place finisher was 2016 November Niner, Germany's Kenny Hallaert who shoved his last 7m from the cut-off with and was called by fellow German Dominik Nitsche in the big blind with . A flop of was enough to send Hallaert home in 10th, good for €295,131. Next out on the very first hand of the unofficial final table was affable Brit Charlie Carrel who jammed his final 7.3m from the button with and found a caller in Steffen Sontheimer from the big blind with . A jack and two sixes on the flop were enough to send the chirpy Brit to the rail to collect his €295,131. It took another hour at the official final table before the next elimination, and it was Martin Kabrhel who fell after rather unluckily losing a 25m chip pot to Dominik Nitsche after Kabrhel ended up all in with and found himself dominating Nitsche's . Three diamonds appeared on the board, however, as Nitsche managed to river a flush to send Kabhrel out in 8th with a €366,762 payday. By this time Nitsche was building up quite a lead at the top of the pack. One more hour passed before the table lost another former chip leader, Ahadpur Khangah. Once again Nitsche was the conquerer as his pair of Queens won the flip against Khangah's . Khangah did actually make a straight on the river, but unfortunately for him the same river made his opponent a full house and Khangah was out in 7th, winning €466,421 for his troubles. After losing a big pot to with Aces to Andreas Eiler who turned a straight, Christoph Vogelsang had sunk to the short-stack and he was next to fall when his couldn't outlast Mikita "fish2013" Badziakouski's after the flop gave the Belarusian's two pairs. Vogelsang earned €606,694 for his 6th place finish. Not long after, another German left the battle in a German-on-German pot when Steffen Sontheimer risked his last 11m to call Andreas Eiler's all-in. Sontheimer was ahead with .to his opponent's but he fell behind straight away on the flop and never recovered. The Poker Master Series champ was out in 5th, good for €806,758. Above: Poker Masters Series winner Steffen Sontheimer enjoyed another big payday today, although he fell short of another seven-figure payday, earning just over €800k for his 5th place finish. Just minutes later, with the blinds at 1m/2m with a 300k ante an extremely short-stacked Thomas Muehloecker pushed his last 5m in from the big blind after a raise to 4.5m from Nitsche. His would need a lot of help to beat the German's pocket 6's and no help was forthcoming. Muehloecker had to settle for 4th place and a nice paycheck for €1,096,206. The last non-German to fall was Mikita Badziakouski who ended up in 3rd place after moving in for 59.2m with and being called by Eiler with . The on the turn settled the huge pot and sent the Belarusian online star to the rail to collect his €1,521,312 third place prize money. Heads-up play lasted a little over two hours and started with a 152,650,000 to 111,350,000 lead for Andreas Eiler. However, heads-up play was all about Domink Nitsche who asserted himself from the start, regaining the lead on just the third hand after taking down a 56m pot with a rivered straight. Just five hands later Nitsche picked off a big bluff in a near 100m chip pot to take a sizeable lead in the match, one which he wasn't to lose - although it did take him another hour and three quarters to finally seal the deal. Having chipped Eiler down to just 8 big blinds (32m by this stage), the short-stack moved in with and was called by Nitsche holding . The final board of the tournament ran out giving Nitsche trips, the pot, and the title. Eiler received a huge €2,155,418 for finishing runner-up but Nitsche got the glory, the bracelet, and the €3,487,463 ($4m US) winners cheque.